The cloud can radically improve your customer experience, operations and bottom line. And those reasons prompt many organizations to take advantage of the benefits of cloud for contact centers. 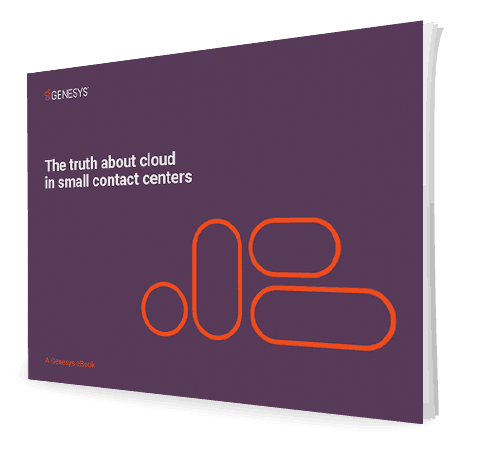 This eBook focuses on two profiles for small contact centers—small businesses and “small of large” businesses, or small contact centers that are part of much larger enterprises. Get key insights from independent market research to make the case on why you should take your customer communications platform to the cloud. With the right solution, your business can benefit from enterprise-quality capabilities at a price you can afford. And you can realize an ROI in as little as three months.